Shimmer and shine in all the right places with the must-have Wet n Wild MegaGlo Highlighting Powder. Back by popular demand, this No.1 highlighting powder is here to stay! Its ultra-pearly finish and easy-to-blend formula make it a fan favorite! The silky smooth, highly-pigmented powder gives an all over glow when applied to the cheek bones, brow bone, and cupid's bow. Wet N Wild is Peta-certified, cruelty-free brand! Not 100% of the products are vegan, but the brand is striving towards making them all vegan-friendly. If a product is not listed as vegan, it is not considered vegan. About the Brand: Wet n Wild is a Los Angeles based company bringing to you stunning range of cosmetics with high-performance formulations all available at unbeatable prices. Since 1979, millions of women around the world have trusted wet n wild in delivering prestige-quality cosmetics in trendy colors. Avail hottest makeup picks, get the latest beauty inspiration with on-trend wet n wild palettes, lip colors, foundations and much more to get flawless makeup looks all the time! Explore the entire range of Highlighters available on Nykaa. 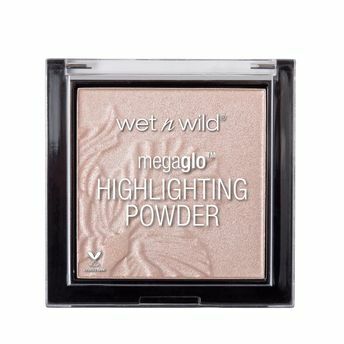 Shop more Wet n Wild products here.You can browse through the complete world of Wet n Wild Highlighters .Alternatively, you can also find many more products from the Wet n Wild MegaGlo Highlighting Powder range.